Medicinal uses: The cones or “berries” yield brown dye and the antiseptic, diuretic, and detoxifying Juniper oil, used to treat cystitis, acne, eczema, cellulite, and rheumatism. 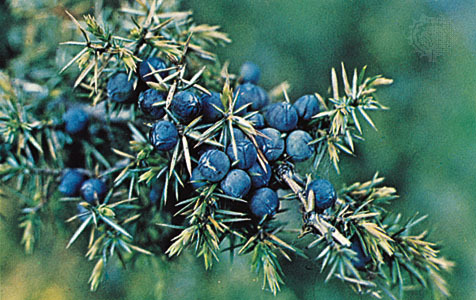 Folklore: The ripe cones or “berries” flavor gin, Chartreuse, pates, and game. Native Americans boiled the “berries” to treat colds and burned the needles as incense. Juniper was widely used as incense in Summer, Babylon and Egypt for spiritual purposes and to honor both Goddesses and Gods. It is sacred specifically to Inanna who was later called Ishtar. Centuries later in Europe, branches of Juniper were smoldered and carried around fields and farms to release their protective energies, guarding both livestock and crops. Magickal uses: In traditional aromatherapy Juniper essential oil is used to detox the body, as a parasiticide (parasite destroyer) and antiseptic. Notice how this medicinal property coincides with Juniper’s magickal use of purifying homes and fields. Juniper can be used for protective rituals designed to ward off negativity as well as to purge such negative energies from a person or place. You can inhale Juniper essential oil (or dried herbal sachet) while visualizing it’s energies guarding you from negativity and danger. You can also use this technique for internal purification, inhale the fragrance and visualize thusly. Juniper can be used as parts of health-maintaining rituals, regularly smell the scent while visualizing yourself eating correctly, exercising and thinking positively. * Burning it as incense before taking part in health-maintenance activities can aid in attaining the full benefits of those healthy exercises. Juniper can be used in the making of “besomes”, or magickal brooms, it can add purifying and protective energies to such a magickal tool. Goddess/God: All; Cedar has long been used as a sacred incense to honor a variety of deities. Medicinal uses: Eastern Red Cedar wood (juniperus virginiana) yields an essential oil used for it’s medicinal properties and insecticidal (insect killing) properties. The cedar of Lebanon has a fragrant resin that has been used since anent times: in incense, cosmetics, for embalming, and to treat leprosy and parasites. Today this oil (or actually the Atlas Cedar subspecies of this herb) are used for its pest repelling properties and is favored amongst aroma therapists to treat chronic anxiety, cystitis, skin problems, and bronchial issues. Cedar oil may inhibit the division of tumor cells. Folklore: In ancient times, cedar from Lebanon was highly prized. In fact, the name Lebanon is derived from the Akkadian word “lubbunu”, meaning incense. It was the most popular and widely used incense in Mesopotamian regions and by pre-contact Native Americans. The extravagant use of Lebanon Cedar in the building of the Hanging Gardens of Babylon and Solomon’s Temple nearly caused the tree’s extinction. Magickal uses: Cedar wood chests are ideal for storing magical supplies (except herbs and essential oils). 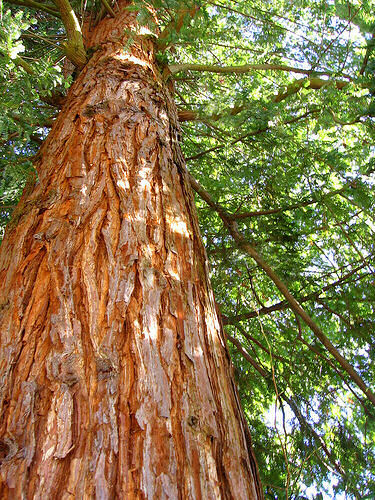 Atlas Cedar Wood (cedar atlantica) and Red Cedar Wood (juniperus virginiana) are the two main cedar wood oils available. They share very similar properties and so can be used with equal effectiveness in magical aromatherapy as well as in other magical rites that call for such ingredients. The fragrance of both wood and oil promotes spirituality, simply inhale the sweet antiseptic and calming scent before religious or spiritual rituals to deepen connection with deity or spirit. Cedar’s scent is ideal in it’s spiritual qualities for bringing ourselves into balance. This is a technique I (Tytus Lionheart) use often as I suffer from anxiety, stress, and high-blood pressure: Smell the aroma and visualize yourself as poised, calm and in control of your own life. I keep a small container of cedar to use for this very purpose, it honestly calms my tension and brings my mind, body and spirit into balance; Highly recommended (with usual medical treatment from your doctor) for those suffering from these ailments.